B2C companies were the first to embrace social media before B2B decided to include it in their social media strategy. B2C realized early enough that most of their customers are always found in social media particularly Twitter and Facebook. 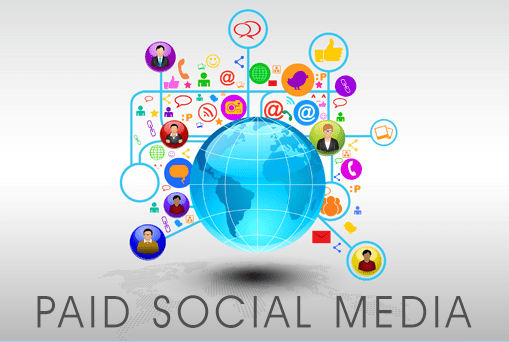 As the popularity grew social media become one of the mainstream channels to promote social media advertising for B2C. B2C found home in social media because its main objective was to increase brand awareness. This means you can post your content, promote it, advertise it and engage with your customers and when done in the right direction your engagement rates will increase. As social media has become the oxygen for online businesses, there are practices to be followed for them to continue living. Below are some of the best practices of social media advertising for B2C. Online customers need to feel they belong to a particular platform. Social media marketers need to show how valuable online audiences are through forming a conversation. When you often engage with your audience be assured of increase in follower base, boosted sales and increase in brand awareness. You can run a contest in social media contest whether you are brand is well-known or not. 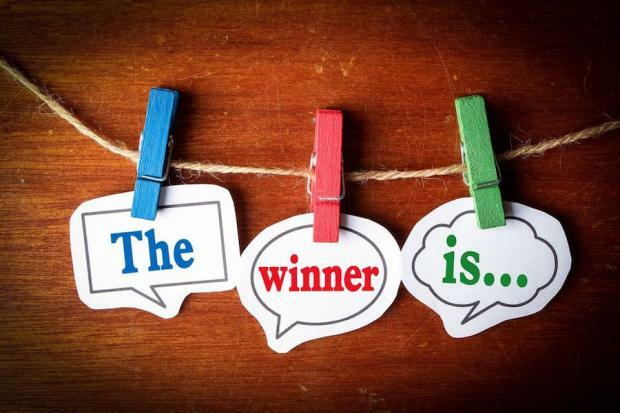 Contests are usually held to promote the brand and increase engagement with your audience. You can ask your audience to share testimonial videos, quotes or images of your brand in exchange of a gift, ultimate experience or holiday.You can run a facebook competition or a twitter poll. 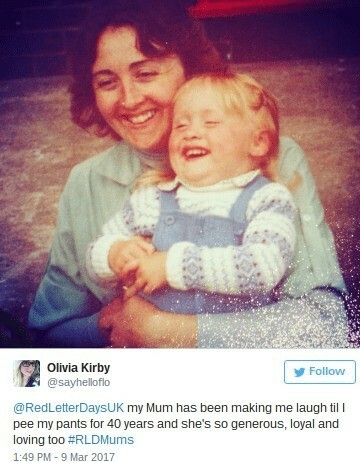 Red letter Days- a gift service company- took on to their social media (Facebook and Twitter) and asked their followers, ‘why they think their mom deserves a day off?’ They named their campaign Mum’s day off or #MumsDayOff and the winner will have a chance to have lunch at ‘A View From The Shard’. Get away from all the noises made from sale pitches and create something fun. Show your customers it is not always about selling stuff but we are fun too. Your team can create a fun campaign and at the same time not forgetting the platform they are promoting on. Pair humor with fun when it comes to visual content. Remember different platform works differently therefore your social media content and objective should fit in. Through the hashtag #lifeatloreal, L’Oreal has shown us it is not always work but fun moments too. 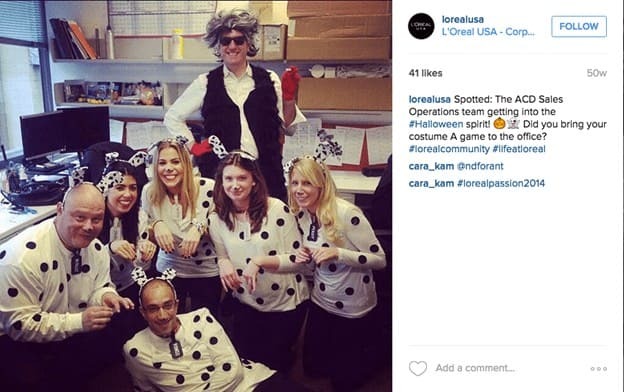 In this Instagram photo, employees (the sales operation team) have dressed up for Halloween. L’Oreal uses this strategy to increase employee engagement, to show organizational transparency and the culture of the organization. Some brands like Oracle, Google, Deloitte, etc have adopted this strategy. There is no harm when good is created. Social media marketers can show respect for social responsibility as a brand. They can impact a community by doing good and making a difference in the lives of others. The community will appreciate the job well done through social responsibility and in turn they will reward your business with trust and loyalty. They can create social responsibility campaigns motivated around holidays and UN special days. At the end of the campaign the brand will earn a positive reputation from the community at large. A good example is the Oracle, a tech company that uses social media to show the social responsibility side of their business. Oracle’s Twitter feed is also filled with Philanthropic activities apart from its day to day business activities. It is very crucial you understand the importance of selecting the right platform. Every social media works in different way and targets people with different preference and interest. Before selecting any platform, get acquainted with the pros and cons of each platform’s channel advertising ability. Ask yourself which one will work for, which one is cost effective, which one will give the best results for B2C, which one is worth our investment and which one is superior in reaching your target audience. Your social media efforts should be concentrated in the right direction keeping in mind your buyer persona. Ask yourself, ‘who is your buyer persona?’ For example, social media advertising for B2C deals with end consumers while for B2B deals with businesses and companies. Another factor to consider is locating your buyer persona. You cannot advertise on Twitter when your audience is on Facebook. Do your audience research very well to ensure your social media efforts are reached.A good example is the Domino’s case. Domino is way ahead in the fast food market due it nature to quickly embrace new digital technology. With the continuous enhancement of its mobile experience in 2015/2016 it achieved a 43% increase in online sales and an overall profit of £43.6m. Domino embraced twitter for its marketing campaign. They introduced ‘tweet-to-order’ and ‘DOM The Pizza Bot’ which allows their customers to order for Pizza. They also had #letsdolunch a twitter campaign that was aiming at increasing lunch time orders and at the same time the price of Pepperoni Passion Pizza becomes cheaper each time a person tweeted. Each tweet costed 0.01 off and the current price was displayed at their Facebook page. Another of their campaign was dabbed, ‘Pizza legends campaign’. People could go to Domino’s website and make, create, name and share a pizza design on social media. Your social media efforts on B2C advertising should also focus on building your marketing objectives plus a lasting relationship with your audience. Create an enabling environment for your end consumers by understanding the behaviors of your target audience. Did you know the social media you choose might reflect your business? 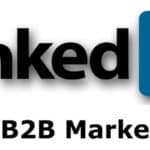 That is B2C may prefer Facebook and Instagram while B2B may prefer LinkedIn or Twitter. Therefore, B2C marketers need to test and analyze which social media platform works for their B2C brand to reap maximum benefits because social media keeps on evolving every day. 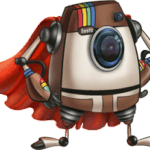 Instagram is one of the dependable tools for B2B marketers when it comes to visual content. Take it to your advantage by showing your audience the face of the company. You can use videos or pictures to show what happens in the background, your employees moments, on-going projects or fun moments in the office. It is the first and always be the most effective B2C social media marketing strategy. 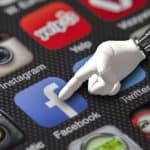 Facebook has about two billion monthly users therefore making it possible for customer support, community engagement, leads, sales and promotion.A good example is the World Breast Cancer organization. World Breast Cancer ran an awareness breast cancer campaign dabbed #knowyourlemons. World Breast Cancer gave women vital information regarding breast cancer on their Facebook Page. People could read news updates on breast cancer, take part in conversations and make a donation. At the end of campaign the social charitable campaign were able to spread breast cancer awareness. It is an ‘open’ social network where you can find B2C and B2B. 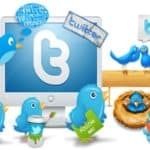 Every tweet you tweet is available for everyone to see but how sure are you that you will always be visible. 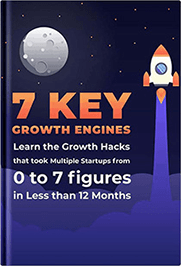 Engage with influencers and market leaders in your niche, engage with your Twitter audience, use well-known relevant hashtags, be creative in your twitter marketing campaign and study your twitter audience. These are some of the pints to make you relevant and visible in Twitter. B2C marketers should focus on creating fun videos to capture the audience and reach their marketing goals. The videos should not be too long because human mind has a tendency to lose focus when subjected to too long videos. Taking a look at Subway’s marketing campaign it’s one campaign that other B2C can adopt. 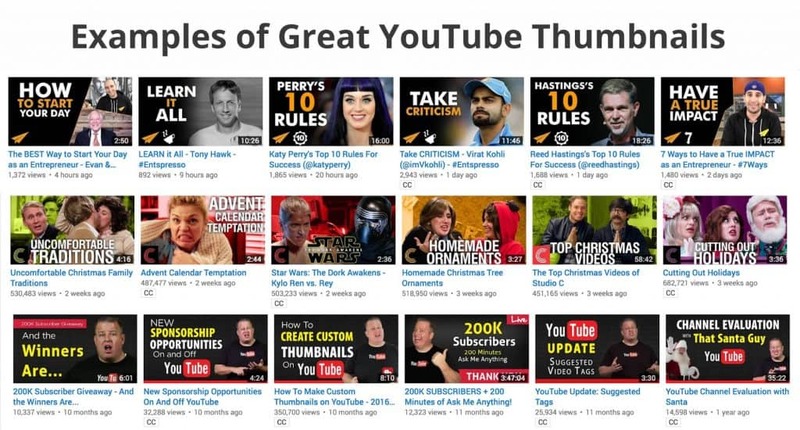 They created, ‘Out to Lunch’ series on YouTube. The comedy series runs for 30 seconds and it features a group of office workers. The series become quite famous when people started demanding for more. Content is everything. A good content will capture your audience’s attention and drive them to act. It is advisable to add value to your content and let it attract your customers. Social media advertising for B2C should concentrate more on blog content. Blogs attracts leads and drives your audience to action if they love your content. Ensure you have share plugins strategically placed to make it easy for your audience and site visitors to share your content to other audiences with just a single click. 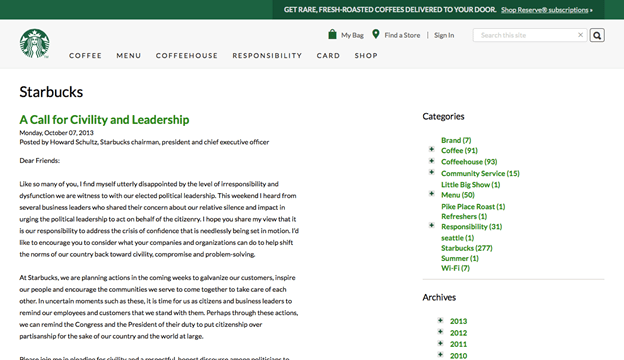 Starbucks created a top business blog; where readers can make contributions on matters related to food and drinks as a way to interact with them. 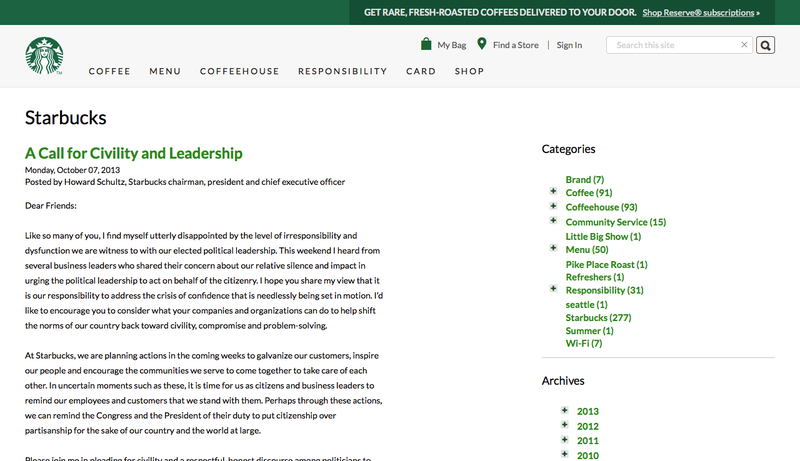 Starbucks allows its audience to share ideas and if it is good enough they share it on their blog. Another way for B2C marketers should take advantage is visual content. They should add value to their images and videos. Their images or videos should contain catchy titles or have humor (memes). B2C marketers should create entertaining videos and spread it to other social media platform especially YouTube. 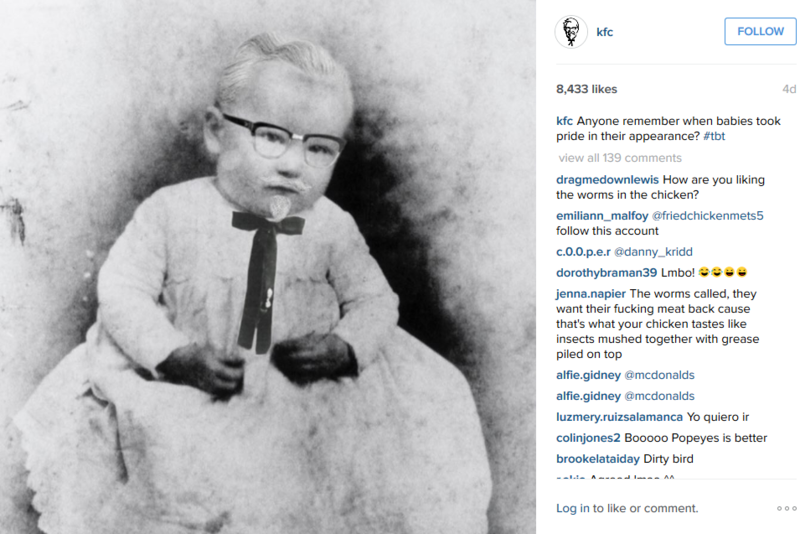 Take a look at KFC Instagram feed, they post something nostalgia combined with humor. Relevancy: Create content that is relevant to your niche and meets the needs of your audience. Your content should be able to resonate with the needs of your customers. 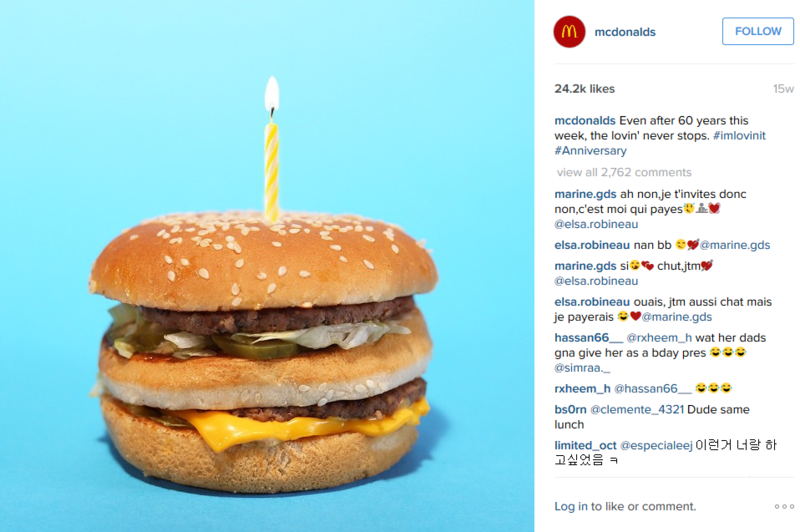 Think like your customers and curate content that offers solution.Taking a look at McDonald videos they educate their customers on how its products are made. 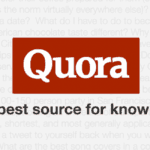 This removes doubt and fear of not trusting their products. 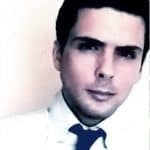 A/B test: We cannot just depend on one social media platform, one social media tool or one social media ad type to help us in our social campaign while there are plenty of social media tools, social media channels and ad types that we can play around with until we get the right match that works best with our marketing strategy. Communicate value: Every social media marketer wants value for a positive marketing campaign outcome. If you want to get something from your audience like contact information you must offer something unique that they cannot resist easily. A good example is the Tvibes. A company that allows customers to curate their own TV channels using their mobile videos. They incorporated Facebook in their marketing campaign to gather sign-ups and get more followers. Users could easily create an account, log in and discover channels created through their Facebook fan page. They used lookalike audiences and mobile app install ads to encourage sign-ups. As result of using Facebook, they were able to earn a 50% of new app installs, 20% engagement rates and 10% conversion rate all through Facebook. Compare: Compare what your competitor’s content with yours; what type of content is working for them? What are they doing that you are not doing that resulted to a success? Or compare your past content strategy with your current one; what type of content has worked in the past? What strategy led to your success and will it work today? Social media advertising works well in both B2B and B2C companies. This is because social advertising has low risks and high returns (ROI) whether you use paid ads or not your targeted audience will get the message. However, with the changing algorithm day in day out it is hard to grow your audience organically and keeping up with drastic changes. Therefore, paid ads are here to rescue you. 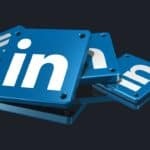 Social media platform: Facebook, Twitter, Instagram and LinkedIn offer advertising options to B2B and B2C for them to invest in paid ads. Dunkin’ Donuts is a good example of brands that use paid content. Dunkin’ Donut uses publishers like Buzzfeed to promote their brand. Check out this video where Californians try their donuts for the first. The clip showed all sorts of people queuing for a bit of Dunkin’ Donut. Digital advertising enables you to select your audience on the basis of gender, location, age…hence rewarding you with ‘a targeted niche advertising campaigns’. 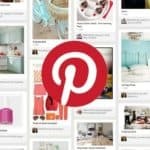 What are the powers of social media ads? 1. 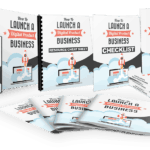 Lead Generation – Use digital media advertising to collect more leads. Taking a look at Dacia, a subsidiary of Renault (a European car brand) took on to Facebook to generate leads and create brand awareness. They incorporated Sandero, Stepway and Logan in their Facebook ads. In a 3 year span they managed to sell 60,000 cars and 45%costs per lead reduced. 2. Increase brand awareness– What you are selling to- are made of individuals who are your end consumers. Who is influencing them to buy- are also individuals. As a result, a chain of persons is made fostering relationships. Use a suitable channel for B2C to be assured it will capture the right targeted audience. 3. Customer Acquisition– When you started out using social media as a marketing tool your main goal was to acquire new potential customers who will in turn increase sales and profits. 4. Perception building– The present-day business customer relationship relies on online crowds. Before buying a particular item, potential clients first check the reviews and information about the particular company and its product. Companies should therefore create and share the right kind of content. 5. Content distribution– social media advertising ensures that useful and relevant content is distributed with the aim of reaching a wider audience- that can be decision makers or potential buyers. Social media channels have tools, apps and software to monitor, give recommendations, analyze and evaluate followers, followings, audience activities, interactions and engagement etc. Social media advertising for B2C entire campaign should be monitored, reviewed and improved. Tactics should be changed to fit the needs of customers and ever evolving social media algorithm. Cadbury wanted to show appreciation and celebrate 1 million likes on Facebook by building a large giant chocolate thumbs-up. What they did not know is that the video went viral, prompting them to act quickly to release a video on how it was made. The video was watched by over 250,000 people and the audience increased by 40,000 followers. Don’t just start a campaign and letting it run for itself then come back later and see how it prospered. The truth is you missed several opportunities to reach your targeted objectives. What happens next after you selected paid ads for B2C you will need to decide which ad type fits your campaign? As we have said before different social media platform have a specific set of functionality as well as social media advertising. We can also add that each platform has its own unique set of ad types. Ads assist you to achieve your marketing objective and goals. Ads are designed to drive a specific action from an audience: website clicks, site conversions, follows, engagement, etc. Lead capture– This is a way of obtaining contact information from your website or webpage in exchange of something valuable (from site visitors). It can be newsletter, eBooks, giveaways or a special deal. Reach– This type of ad promotes your posts to your fans that haven’t yet liked/followed your page or account. 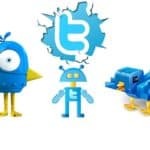 Followers/page like– This type of ad aim is to capture people’s attention and encourage them to follow or like a page. They promote your page or account to a wider audience that cannot be reaching organically. 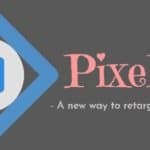 Website clicks– This type of ad aim is to encourage people to click- through your site once they have done that you are charged. Engagement– This type of ad is displayed to those who are likely to interact with your ad. When the audience likes, shares, comments or clicks you are charged as the advertiser. Site conversions– this type of ad promotes your website link to your audience and tracks your audience activity when they are on your site. When a person performs a particular action on your site like submitting a form you are charged as the advertiser. Video views– This type of ad is meant to promote your videos to a wider audience that cannot be reached organically. When a person views the promoted video for a specified time you are charged as the advertiser. 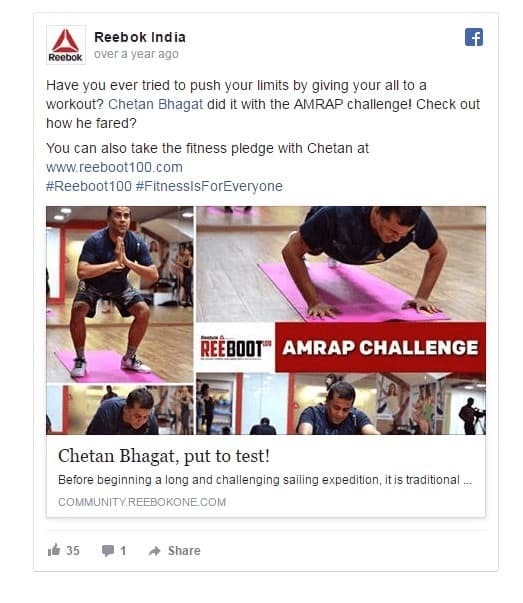 Reebok India used Chetan Bhagat, a well-known writer, for its campaign ‘Reboot 100’. The company wanted to strengthen its brand slogan #FitnessIsForEveryone. The campaign was for a routine diet and exercise for 100 days. Chetan who was promoting the brand, shared his experience and progress with his followers through-out the campaign. The business continues to post relevant and interesting content. The business continues to build relationship with their customers and encourage them to visit their physical shop or website. The business continues to post quality content that fosters interaction e.g. promotional offers, contests, quizzes etc. The business rewards their customers by discounts, offers and giveaways. The business encourages its audience to take action on CTA buttons.